This race is relatively new but is proving to be very successful, and attracts a good number of novice athletes. A pool swim, bike ride in the Amman Valley which is a fast course, followed by an undulating 5k run, part of which is along the new cycle path. Ideal for 1st time triathletes or the more experienced athlete. 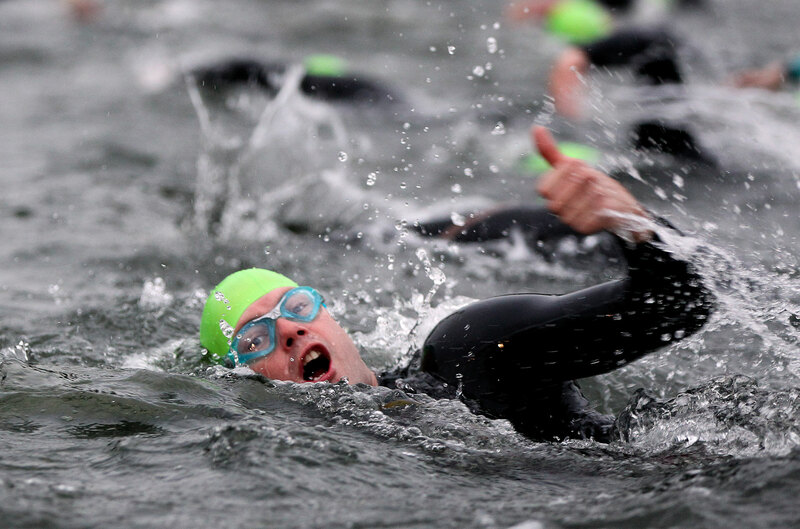 Perfect race to begin your triathlon journey with a well marshalled, picturesque route and a pool swim. Tri-star options for children down to 8 yrs old mean that you can make a weekend of it and get everyone involved. Part of the Vachery triathlon weekend, with standard and middle distance races, plus fun activities for all the family, great camping and a festival experience with music, food and more. As an introduction to triathlon and set in an area of outstanding natural beauty, this is tough to beat. If you to make a step up to the longer distance or are a keen athlete who fancies a longer first race, then this is the perfect event for you. A swim in the clean shallow lake, a flat ride on the controlled roads followed by a flat run around the water park. This friendly race attracts people of all abilities, and if you ask Graeme nicely they will even stock the feed stations with your favourite race snacks! Award winning triathlon and 220 magazines event of the year 2012, this is a popular choice for first time triathletes to get involved. All Tri Together triathlon events are open to disabled and non-disabled people and are ideal for everyone from the complete beginner to the seasoned triathlete. Take part on your own, in relay teams of twos or three or get the whole family involved with our junior triathlon races open to those aged 8 and over. Race organisers MyTri Events pride themselves on an event portfolio that caters for novice and elite athletes, as well as everyone in-between. So, if you're looking for a friendly, affordable and memorable race, this is a great option. The pool swim is followed by a bike leg on quiet roads and a fast, flattish run. Have we missed anyone's favourite out? Let us know below. Oh, and there's some great advice for novice swimmers in this piece in Triathlete Europe magazine.